National Water Week is observed from 17 to 23 March 2014 under the theme, "Water is Life, 20 Years of Water Delivery for Social and Economic Development". It also coincides with World Water Day on 22 March which brings attention to the water and energy connection. Eskom confirms this connection as they are the largest users of water in the country. This week also encourages people to remember to turn off their lights on 29 March during Earth Hour. Water being the most critical form of life and being central for most areas in the industrial sector, needs more support. The Western Cape has a fast growing population where the demand of clean and sufficient water is increasing everyday. People should use water sparingly at all times to save the basis of our living. Saving water has become an essential practice for all areas around the province including areas where water may be less of an issue. As the challenge of water scarcity has rapidly increased, it is confirmed by the rise of costs. The solution to this is to save water. This is what can be done in your home to make it more water-efficient. Turn off the shower after soaping up, then turn it back on to rinse. Reduce your toilet flush volume. Install a system to pump grey water (from the washing machine, basins, shower and bath) to the garden, most households will eliminate the need for any additional garden watering. Be alert of leaking taps and toilets. Find out how you can fix your leaking toilet. If you have a double-basin, fill one with soapy water and one with rinse water. Use tap aerators to reduce the flow in kitchen taps. Do not let the tap run while you clean vegetables. Rinse them in a stoppered sink or a pan of clean water. Group plants with the same watering needs together to avoid over-watering some while under-watering others. Put a covering layer around trees and plants. Covering will slow evaporation of moisture while discouraging weed growth and the soil to retain moisture. Water during the early parts of the day. Early watering, and late watering also reduces water loss to evaporation. Plant in the right season, for winter rainfall areas, this is in autumn and early winter so the plants have a chance to develop their root systems before the dry season. In summer rainfall areas, it is spring and early summer for the same reason. Define water requirements for your department, building or unit of production. Appoint a person to track water usage and identify strengths and weaknesses. Present the idea of water efficient appliances in canteens or office kitchens. Fill kettles only with as much water as you need. Try and avoid ornamental water features and fountains that lose water to evaporation. Ensure that people are aware of points and times to report major water losses from leaking or damaged pipes and hoses. Keep paths around the building tidy. Avoid the use of hoses to remove leaves etc. Encourage people to wash company vehicles at commercial car washers that recycle water. Encourage people to be alert of leaking taps. 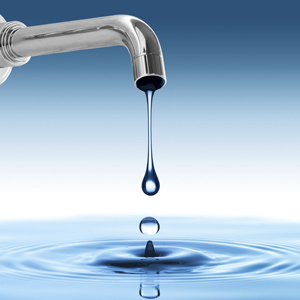 Reduce leaks by turning taps off lightly and getting washers replaced when leaks are discovered. Upgrade production equipment to use recycled water or less water. Know where your master water shut-off valve is located. Saving water should come naturally as response to the challenges arising. Sign displays should not be ignored as they may help as reminders of water conservation. Parents should educate children about the simple water-saving methods around the home. Employees and co-workers should be made aware of water scarcity issues and the impact of water conservation practices. Using water-saving features can reduce your in-home water use and save money too. Find out more about National Water Week 2014.